I read this article and found it very interesting, thought it might be something for you. 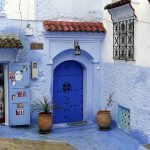 The article is called 25 Things to Do in Morocco and is located at http://trip-n-travel.com/listicle/21121/. Morocco has become one of the extremely popular holiday destinations due to its wonderful history, culture and stunningly beautiful landscape combining the great Atlas Mountains, the Sahara Desert and the Atlantic Ocean. There are so many different and interesting places to see and things to do. Here are some of the things you can do when you visit this country of extremes. This great city is known as Morocco’s cultural capital, but unlike other famous tourist destinations, it has resisted modernization. Its old part is inscribed on the list of UNESCO World Heritage sites. Surrounded by high walls, there is an amazingly vibrant, medieval town known as the world’s biggest car-free area. Walk along the thousands of narrow streets and feel and see the cultural and spiritual beauty of the city. Don’t miss the attractions such as the Weaver workshops, Zaouia Moulay Idriss II, the tanneries or Merenid Tombs among the others. 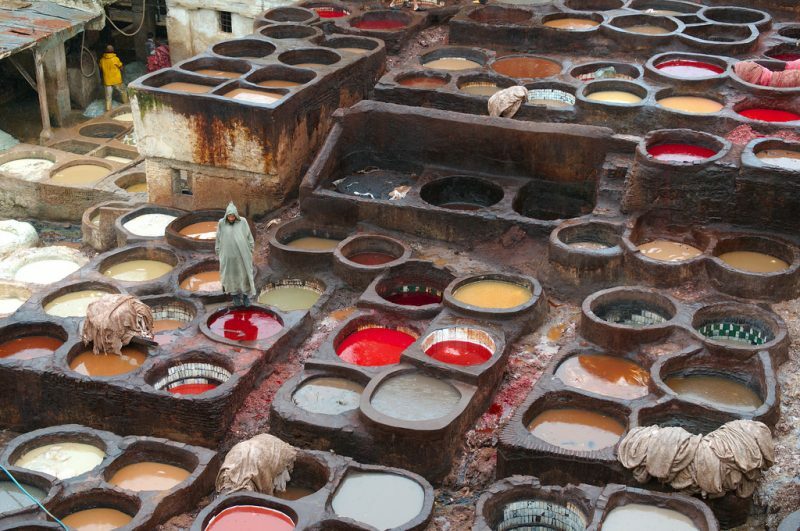 As you may have heard, leather from Fes is famous all over the world, so while in Fes, you should definitely visit the tanneries. They are some of the most fascinating places to see. They have been used for centuries and represent one of the vital parts of Morocco’s heritage. The best view of the tanneries is when you go into a leather shop, just ask your guide to take you to one. You may not like the smell, but you will certainly be fascinated by the site. 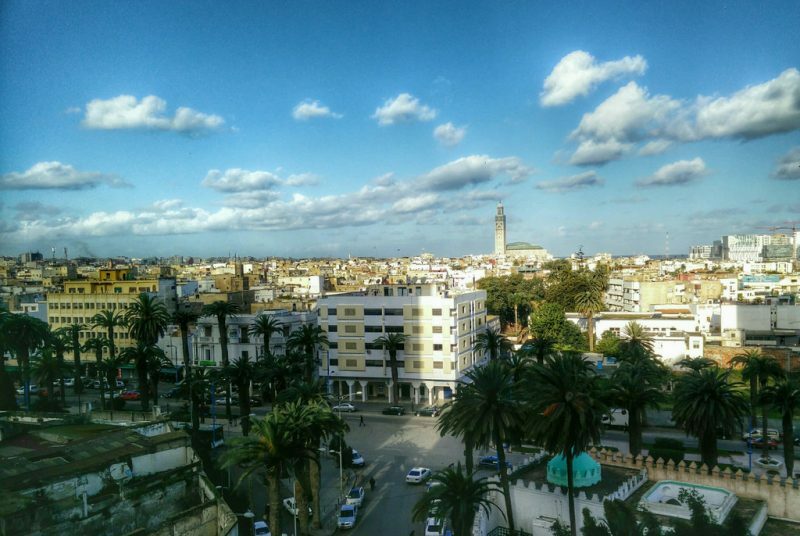 This is probably the most well-known city in Morocco and tourists usually start exploring it from here. The city has two distinct part; the modern part with a European touch, and the old medina district. The city is amazing and hides numerous gems. Even though it is the most cosmopolitan city in Morocco, the old part will offer you some unforgettable experiences. While there, you must not miss its greatest attractions: the central plaza, the Cathedral du Sacre Coeur or the Corniche beachfront. 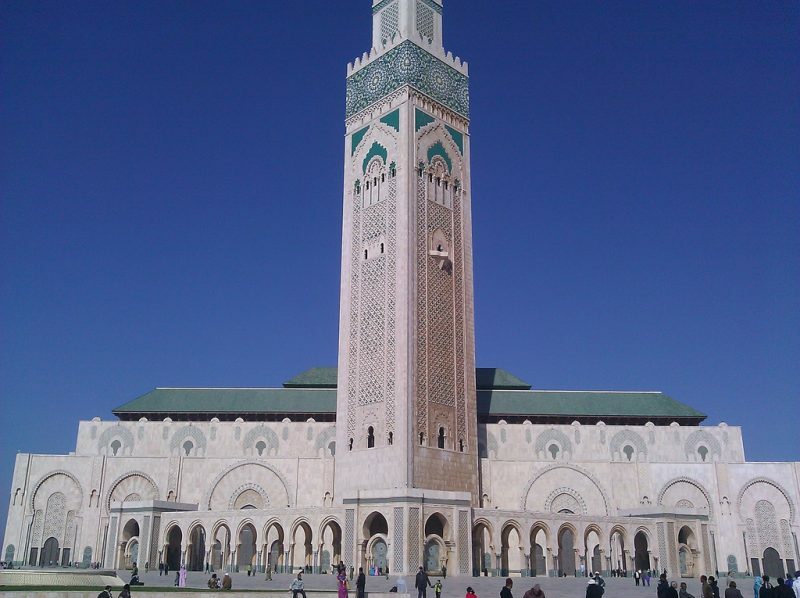 If you visit Casablanca during your stay in Morocco, you must see the Hassan II Mosque. Its elaborate mosaics, stone and marble columns and floors, carved wood ceilings and plaster decorations will simply take your breath away. Six thousand Moroccan artists built this wonderful mosque for five years. It is the world’s biggest mosque that can 100,000 worshipers. Of course, if you are not a Muslim, you cannot get inside, but still, there is a lot to see and enjoy outside. You will love its beauty. 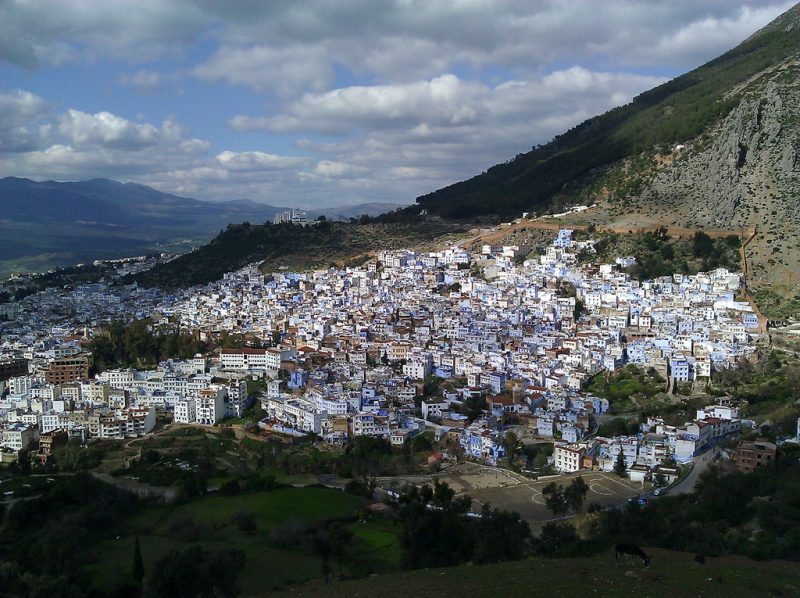 Chefchaouen is one of the most beautiful places in Morocco located in the Rif Mountains. 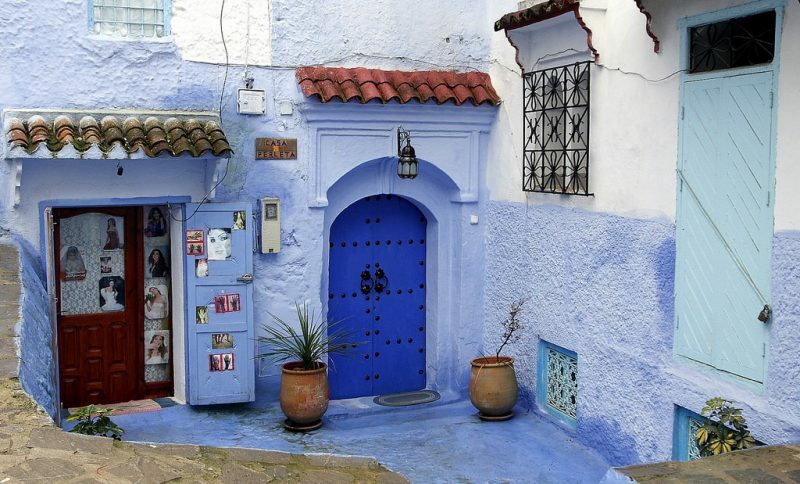 The old part of the town with its cobbled streets and buildings painted blue will leave you breathless. The scene of the mountains at the end of the streets is simply magnificent. You will have a feeling of being in a magical land even though there are no great modern or ancient architectural wonders. It is a perfect place for you if you like just walking around, shopping and enjoying the panoramic beauty of the Rif Mountains. If you do not visit Marrakech on your holiday in Morocco, you will make a great mistake. 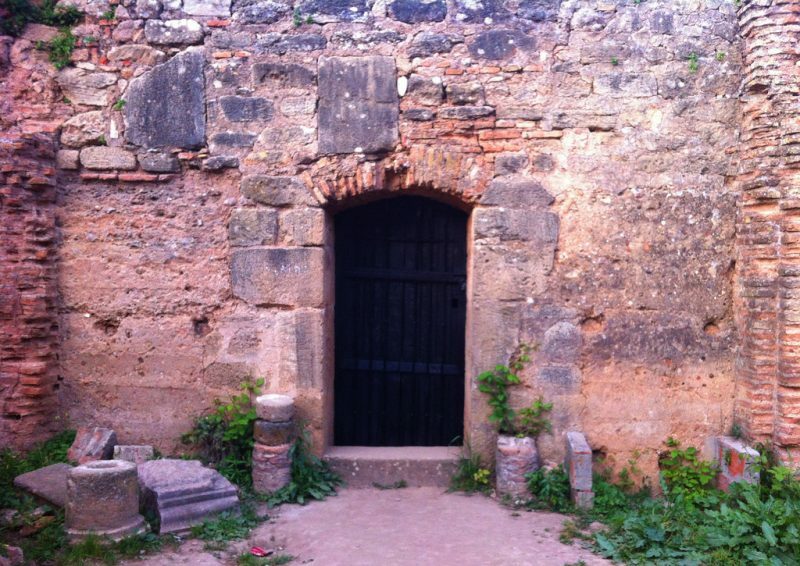 It is located at the base of the Atlas Mountains and is the Imperial City. 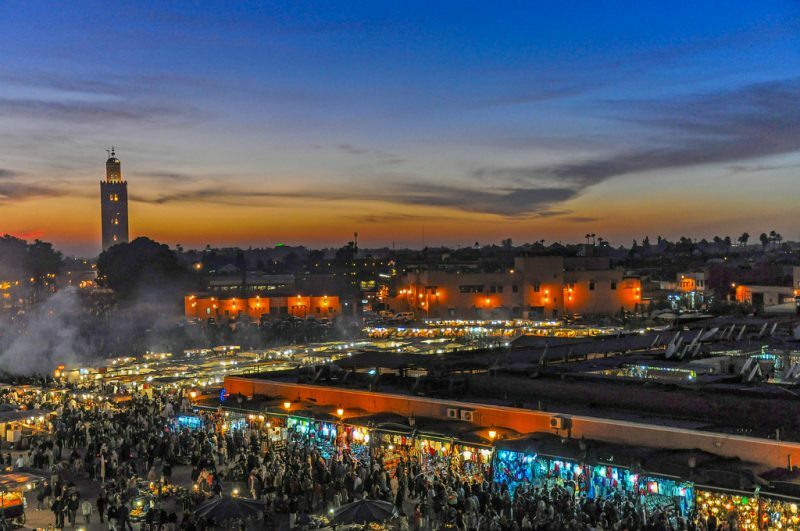 You can experience many different things there, but the one place you should see is the Jamma el Fna square in the center of the old town. The place is full of magicians, dancers, snake charmers, storytellers and orange juice stalls and various merchants. This magical colorful place offers a remarkable experience. You can taste some of the delicious Moroccan food here, visit some traditional African markets and cafes, and see beautiful gardens. 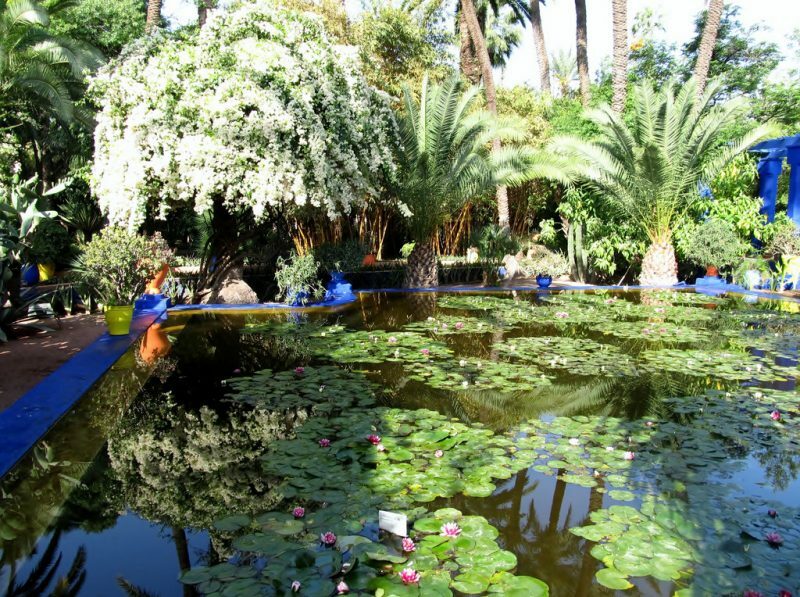 While in Marrakech, take some time to visit the Majorelle Gardens designed by a French painter and later on restored by Yves Saint Laurent. The botanical gardens are full of various and rare plants and the collection of cactuses is simply impressive. You will love their bright colors and the serenity of the place. There is also an archaeological museum in the garden. You can see some of the most beautiful pieces of local Islamic art there. 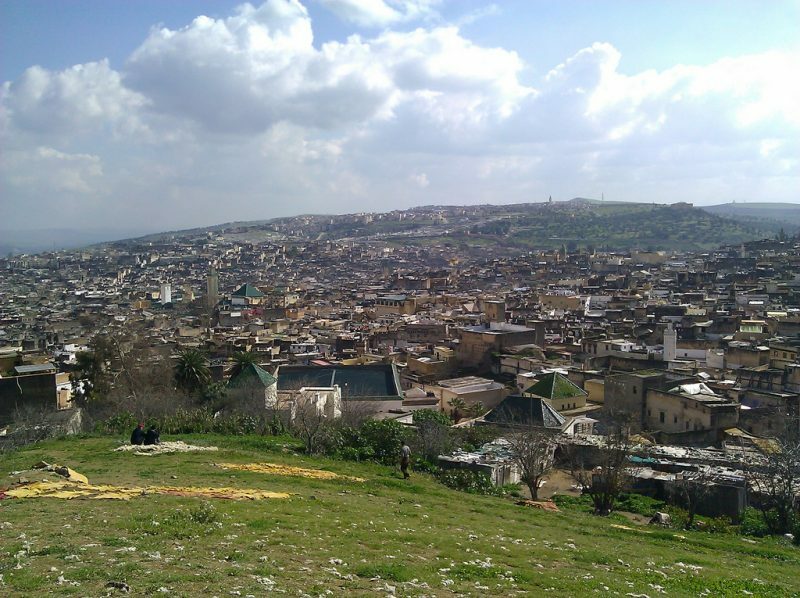 Fes el-Bali is a place you must put on your list of destinations in Morocco. 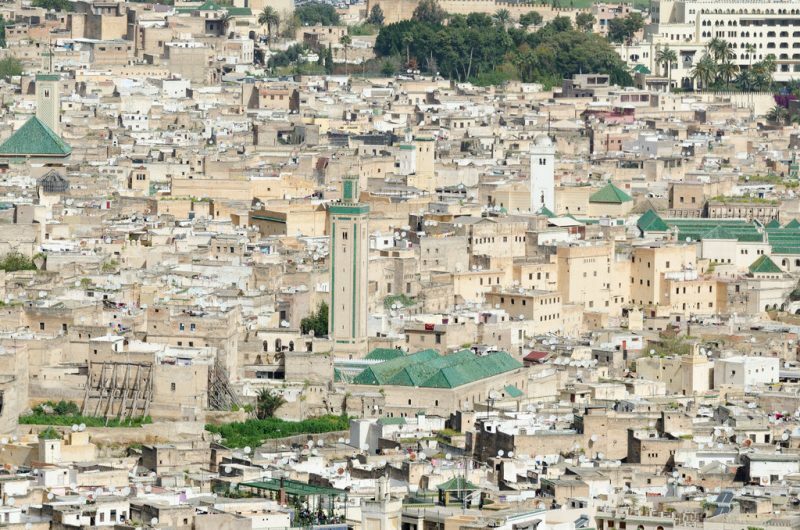 As you have probably heard, Fes is one of the most vibrant cities there and when you go to Fes el-Bali, you will have an opportunity to go back in time. You will discover a unique place that will completely enchant you. It is a truly life-changing experience. Walk along the narrow streets and enjoy the sight of old houses, Royal gardens, various workshops, monuments and fountains. Fell the place with all your senses. You must not leave Morocco without experiencing the sunrise in the desert. 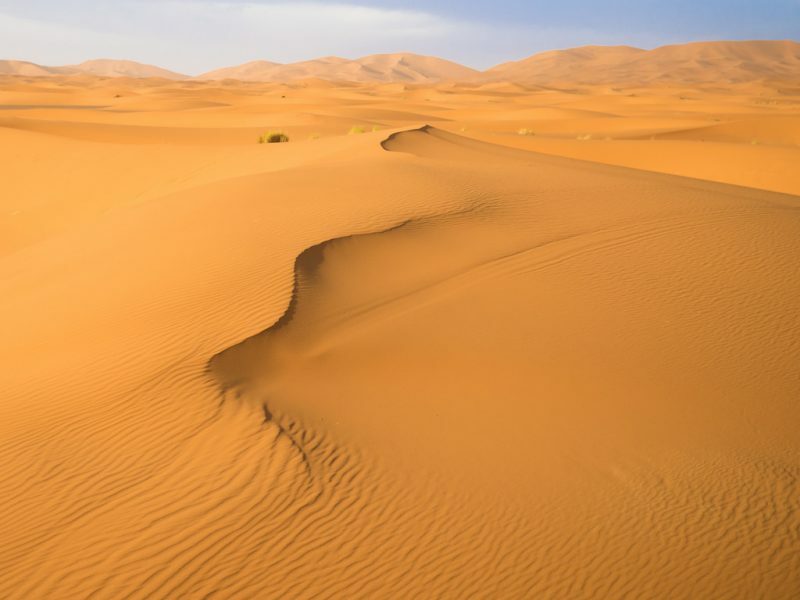 It is a truly unforgettable experience, and the best place is Erg Chebbi or Merzouga sand dunes. The colors are amazing: first, you see the green, and then the yellowish color of the sky, and in the end, the intense morning light colors the sand into burning red. The place is also home to varied flora and fauna hidden in the high dunes. You can decide to stay there for a couple of days and explore the dunes on camel trips. It is something you will never forget. The hammam is the name for a public steam bath. In ancient times, it was the only place for people to have a bath. It was too expensive to have one in the house. If you have never visited it before, this is the opportunity to get an amazing cultural experience. There are various hammams from those stylish in luxurious hotels, to the working class varieties near some mosques. Whichever you choose, you will have a wonderful time. 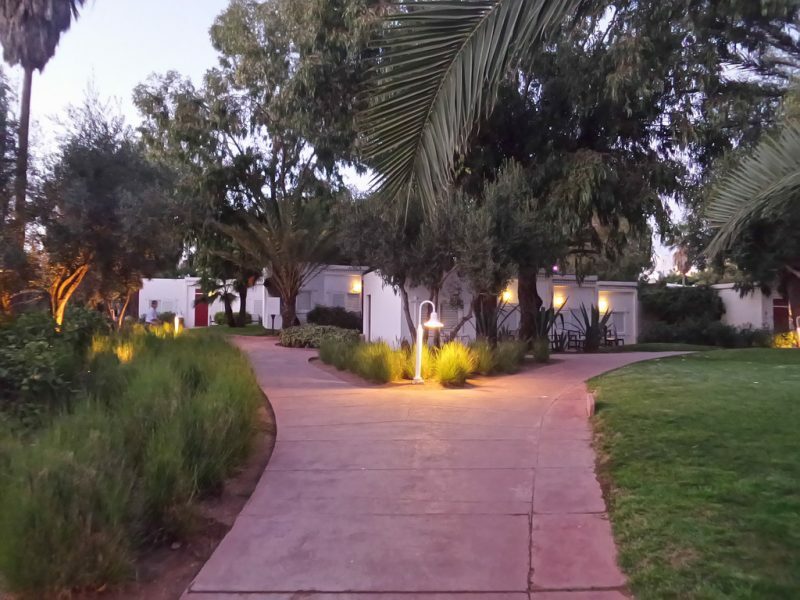 When you decide on where to stay when in Morocco, you should consider staying in one of the Riads. They are actually traditional houses that have been converted into hotels. You can find most of them in the old parts of Fes and Marrakech. You will simply love them. The architecture is amazing and they mostly have fountains in the yard. Many of them have rooftop terraces for you to enjoy the view of the numerous alleys and minarets. There are Riads with a pool if you come in the summer. 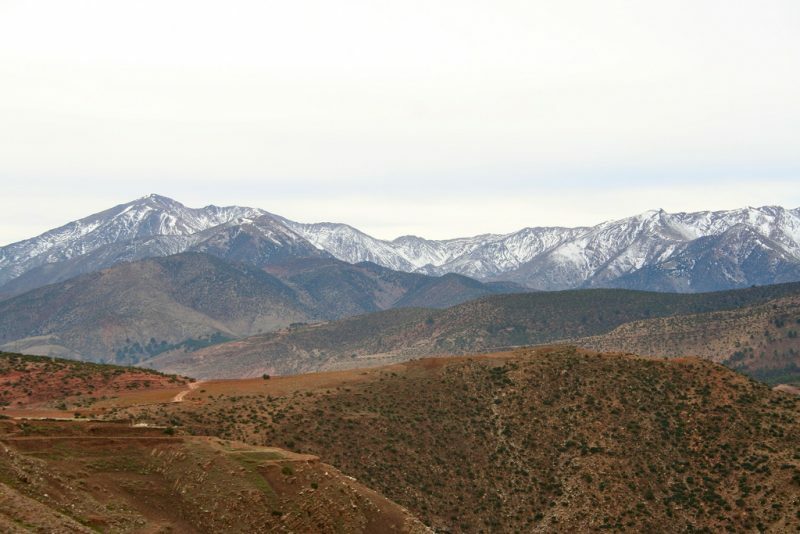 If you are an adventurer, you will probably want to go hiking in the beautiful Atlas Mountains. You should know that most of the treks start from the place called Imlil. It will take you an hour to get there from Marrakech. The best time to go hiking is in April and May. You can go hiking on your own, or you can take a guide. You can get to Jebel Toubkal the highest peak in North Africa. There are some simple accommodations along the way. Surfers love Morocco. It has attracted surfers from all over the world for years. The most popular time to surf is in winter, so you should plan your trip well. It is the time when the Atlantic breakers are great and the temperature is not high. The most popular and widely known surfing town is Taghazoute. The city offers a couple of nice hotels and some nice surf shops. 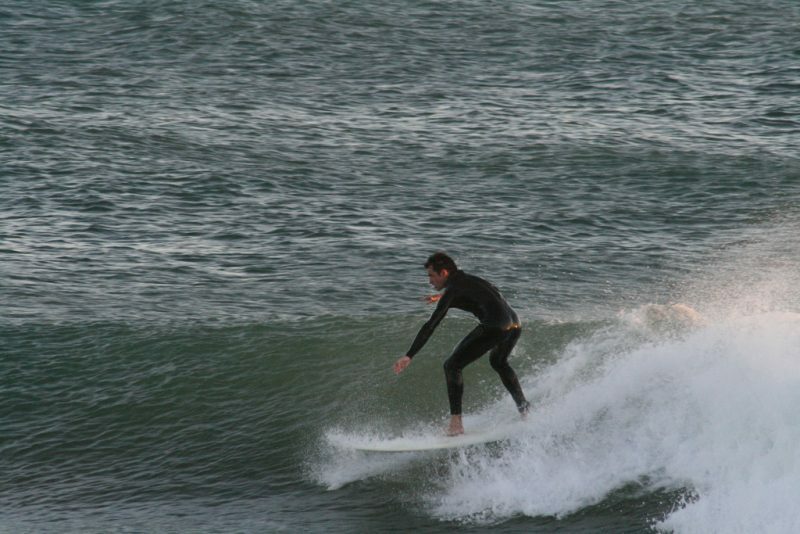 Other popular places for surfing are Essaouira and Dakhla. Go for it. If you prefer snow to the ocean, or you just want to go skiing after you have enjoyed surfing, Morocco is perfect for you. 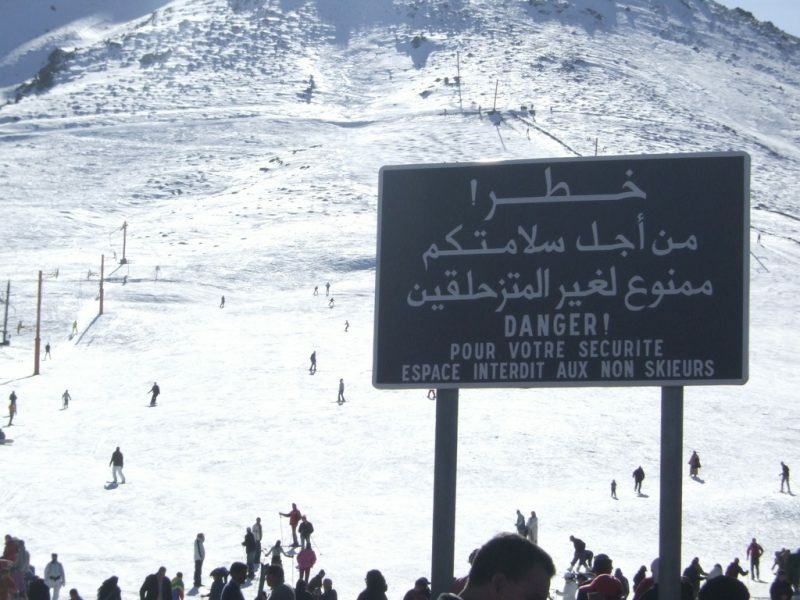 The high Atlas Mountains are covered in snow and to go skiing while in Africa is simply a cool experience. Plan a short trip by taxi from Marrakech to Oukaimeden. They have a ski lift there, but you can choose to ride a donkey instead. Mischliffen is another ski area close to Fes. It is great to take photos of you swimming in the sea and then skiing in the mountains on the same holiday! Tagine is not a specific dish; it is actually anything that you eat from a deep plate with a lid called tagine. In Morocco, they offer various tagines and the most popular is the one with French fries and chicken. 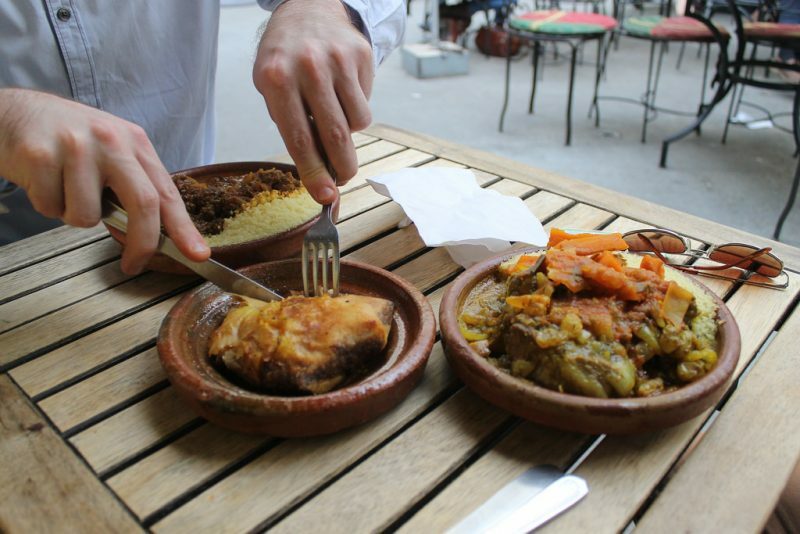 There are other tagines with various kinds of fruits or different combinations of meat. 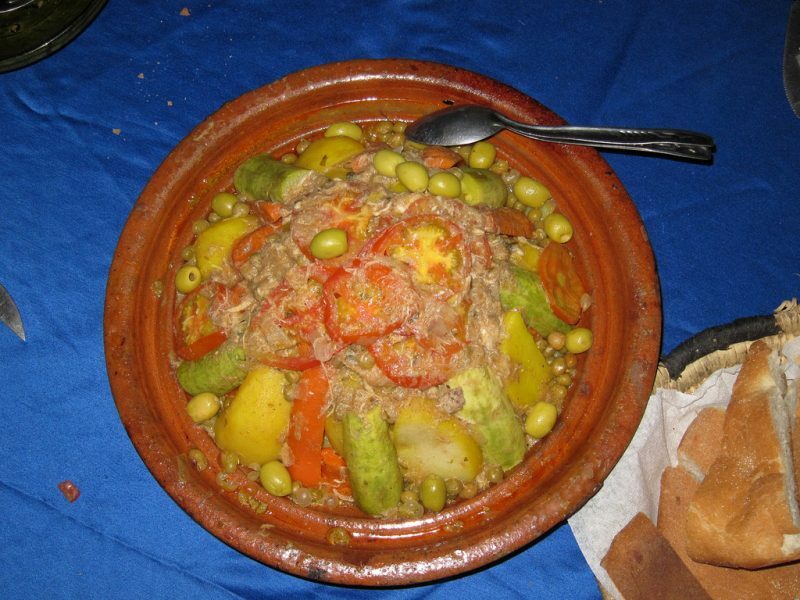 Traditionally, people in Morocco eat tagine together from a single dish set in the center of the table. They serve it with some bread and do not usually use forks and spoons, but eat it with their hands with the help of some bread. Try it! The cuisine of Morocco is a mixture of local Berber cuisine, Turkish, Arabic and Middle Eastern cuisine. Later on came the French influence and today in most fashionable restaurants and hotels you can usually experience the fine fusion of traditional Moroccan and French food. If you want, you can even take some cooking classes offered in some Riads. They send you to a market, where you buy some nice fresh ingredients and then make your own couscous or tagine. You will love it! 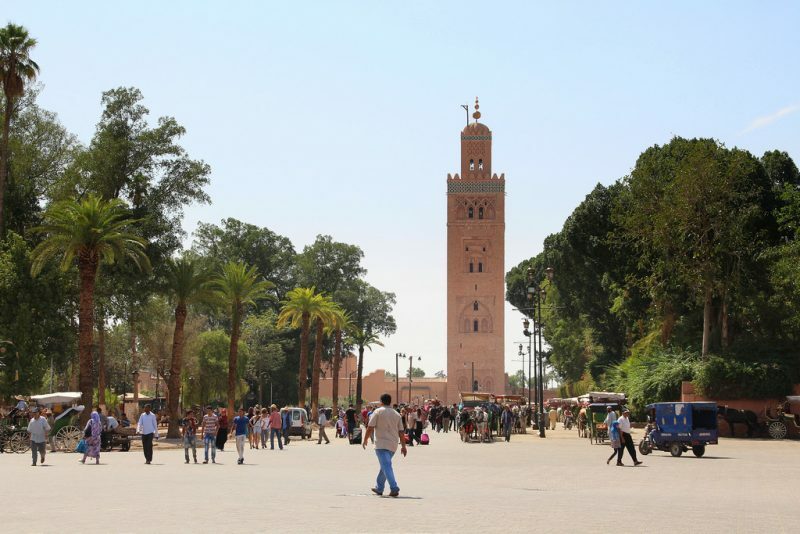 One of the landmarks in Marrakech is the great Koutoubia Mosque, which is at the same time its largest mosque. Its minaret is also the oldest Almohad minaret in the world. It is more than 70 meters high and you can see it from almost all parts of the city. The name of the mosque literally means ‘mosque of booksellers’ because originally there was a book market near there. The architectural design of the minaret influenced all later minarets and towers. Non-Muslims cannot get into the mosque, but you can still enjoy the beauty of the design and surrounding gardens. Gardens Opening Hours: 8.00 a.m.-8.00 p.m. If you are interested in and fascinated by Moroccan architecture, then this is a must-see place in Marrakech. You will love every part of it. 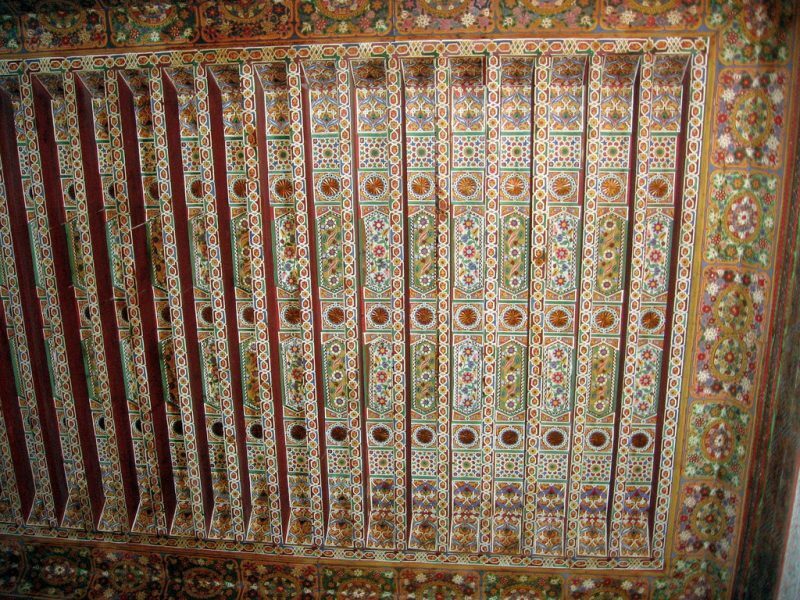 The rooms, the mosaics and colors, handcrafted ceilings and exhibits are stunning. You will love the design of the window frames and the doors. You will get a feeling that you get a bit of everything from Moroccan culture in this beautiful ancient house. You will find many interesting photos of the traditional clothes and jewels, as well as some fine examples of the prosperous regional art. There is a beautiful and serene courtyard where you can spend some time relaxing. This Photography Museum is a true hidden treasure located in the middle of Marrakech. 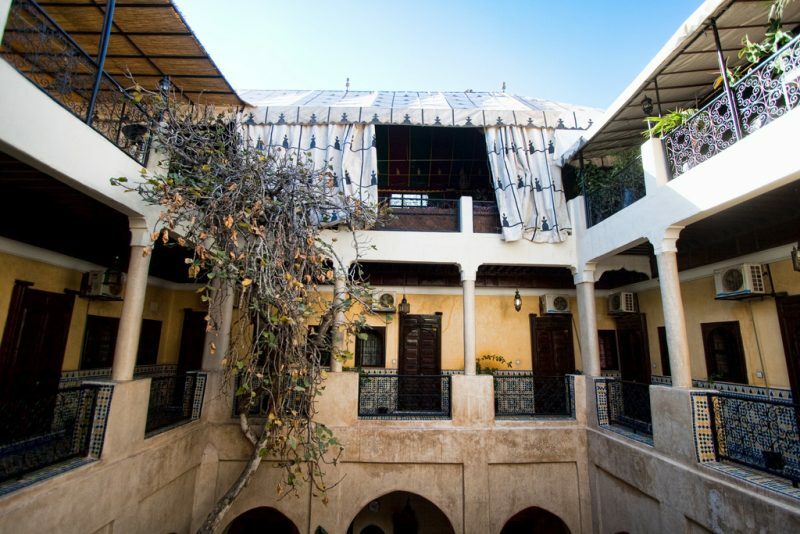 The museum is set inside a beautiful riad and holds an amazing collection of black and white photos of Morocco. 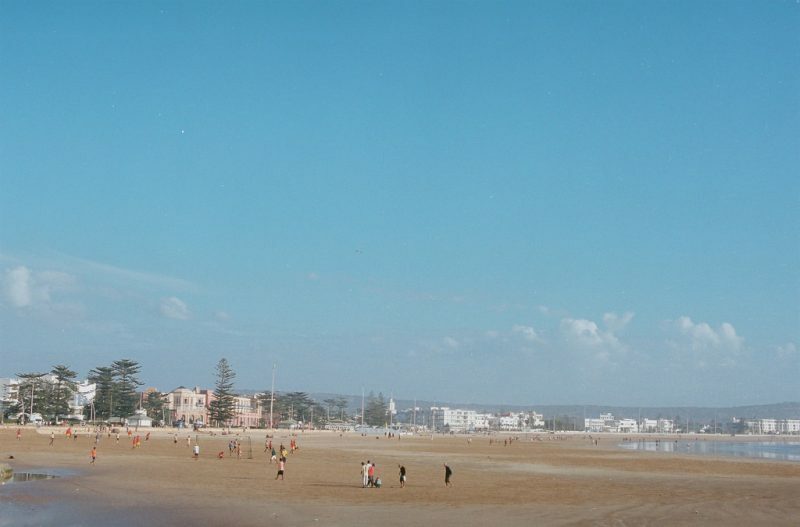 There are photos from many known and unknown photographers and their main focus was on the everyday life in Morocco. You will see what has changed in Morocco and what still stays the same. The museum also boasts a full color documentary about Morocco from 1957. There is also a rooftop café for you to relax and enjoy the views. You will never find anything similar to this place anywhere in the world. It is probably the most picturesque place in Morocco. It is located in the Atlas Mountains and mountain walls and amazing rock formations make the place unique especially on a sunny day. The valley itself is full of wonderful orchards with various fruit trees, and you will love the traditional Berber houses and the people there. The best way to experience the spectacular views is to go through the valley on foot. You can also go climbing or horse riding while there. 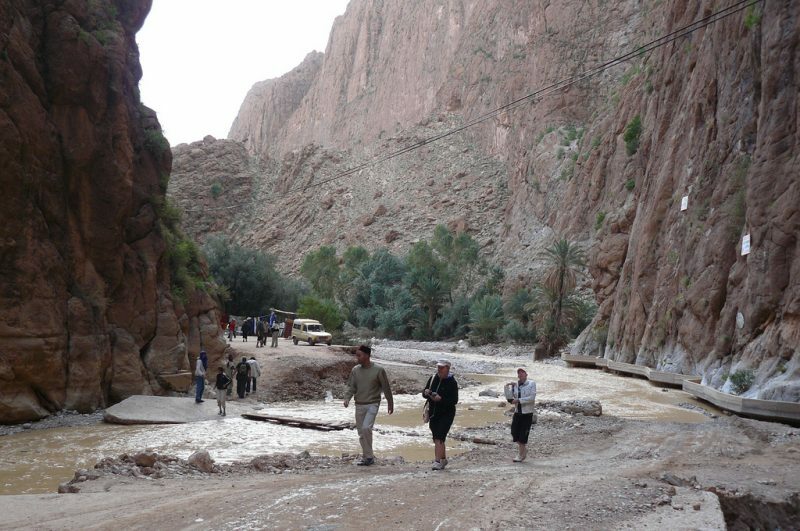 The Todra Gorge runs through the High Atlas Mountains and its gigantic rock walls as well as changing colors make an unforgettable experience and spectacle. The views are simply breathtaking and there are many places for you to stop and take some great photos. You can walk on foot along its well-maintained roads. You can also see how local Berber people live. It is a very popular place and many serious climbers and hikers have visited it in recent years. 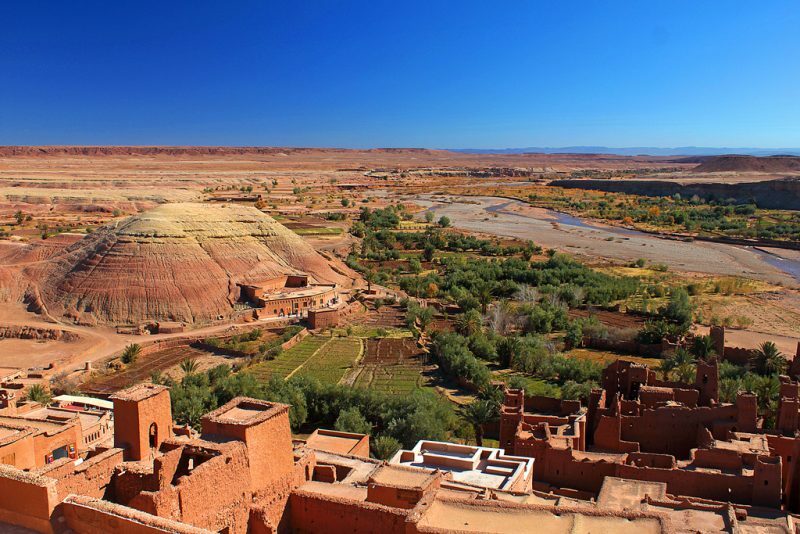 If you are a movie lover, you will love going on a full-day tour around Ouarzazate, the desert capital. You will have an opportunity to see the the Atlas Corporation film studios as well as the sites you could see in different movies. You will also get a chance of visiting a movie museum there. Famous movies like Gladiator and Prince of Persia were filmed there. This splendid town whose wonderful medieval architecture you could see used as a setting in ‘Othello’ is a must-visit if you go to Morocco. It has much to offer. You will love the great seafood there, its amazing and colorful bazaar, as well as beaches. Watersports are extremely popular here and because of the strong winds that blow almost all the time, it is ideal if you like wind or kitesurfing. While there, you must visit the great old Turkish bath Lalla Mira and enjoy a relaxing massage there. In the foothills of the great Atlas Mountains, along the Atlantic coast, there is a beautiful city. You must put it on your list of what to visit when in Morocco. Agadir is a famous resort destination offering great golf courses, amazing beaches and seaside walks lined with bars, cafes and restaurants. It is a modern town rebuilt after a terrible earthquake. If you are traveling with your family, it is a perfect place for you to enjoy relaxing on the beach and visiting some of the interesting sights nearby. If you are looking for a spectacular adventure when you travel to Morocco, then you should visit the Cascades d’Ouzoud Waterfalls. You will experience one of the most impressive sights in whole Morocco. 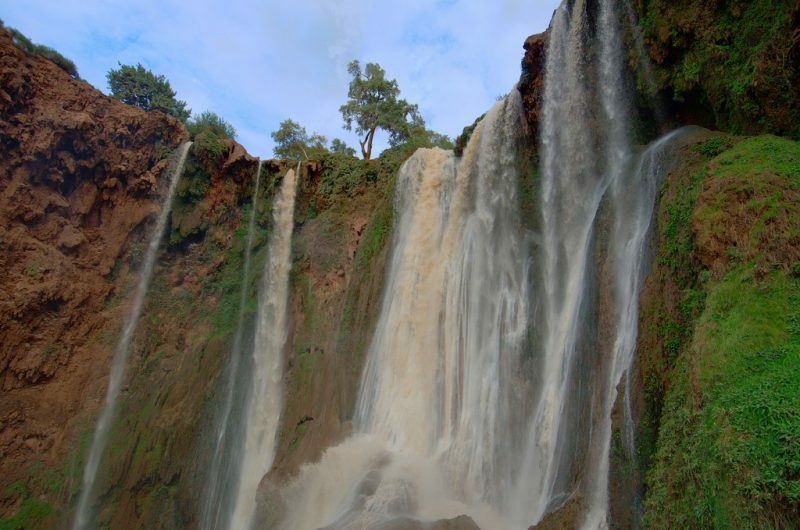 The three beautiful waterfalls are located in an amazing valley, inside a small Berber village and offer the spectacular view of water dropping more than a hundred meters down into the river. You can enjoy the beautiful scenery around the waterfalls and take some great photos capturing the beauty of the rainbows near the bottom of the wonderful falls. Morocco is a diverse country that offers so many different holiday options. Whatever you choose to do and wherever you choose to go, you will never be disappointed. We hope that this list helps you make the right decision.